Promotional apparel has come a long way from generic plain white t-shirts. Today, there are countless things you can do in order for your t-shirts and other types of promotional apparel to stand out. 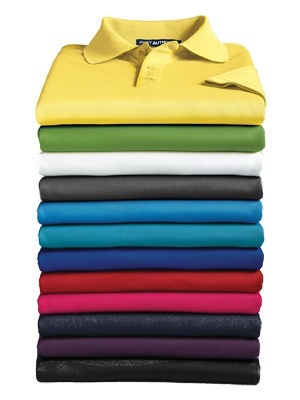 One of the trends surrounding promotional apparel today are bright colors. Everywhere you look, you will see neon and pastel apparel. Some of these pieces are made from a specific brand while others are the ones you have been used to, just with new life. They are easy to put your brand or message on and they stand out from other promotional items. In addition to the bright colors, there are also new materials to choose form. You do not have to stick with the same kind of cotton you have in the past. You can choose higher quality fabric and materials. In addition to the new range available for things such as shirts and hoodies, companies can now choose all kinds of different apparel. No matter what you need, you can probably find it. Some examples of items used as promotional apparel today include hats, socks, ponchos, and even scarves. If you want it for your promotional product, you will not have any trouble finding it. 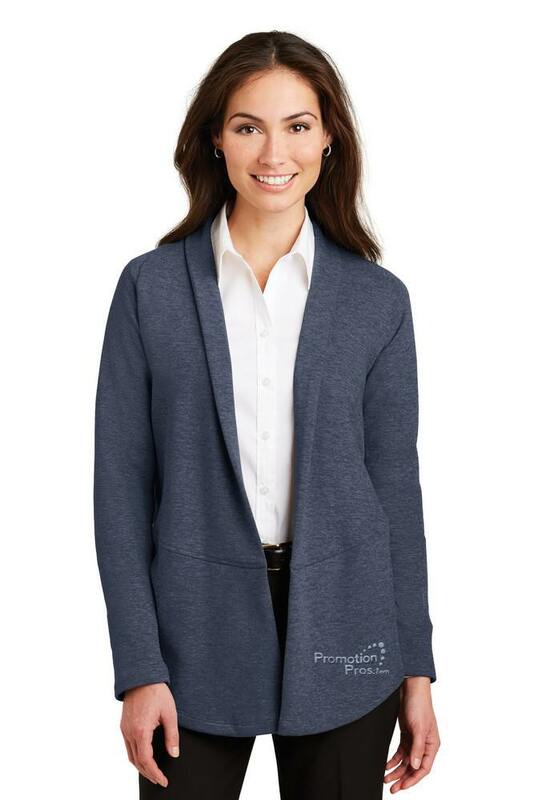 Realistically, who will wear a sweater with your company’s logo around for years to come? Probably not many people unless they have a personal affiliate with your brand. The new trend in the industry is unique imprint locations. Many women won't want the traditional left chest embroidery. Why not try a fun lapel or left hip decoration? Imprinting on the upper arm is also a fun way to keep your brand in focus, but not front and center. Which ensures the recipient of this piece will keep it in their wardrobe. With so many new trends in the world of promotional apparel, you really have the opportunity to stand out in the industry. You also have more opportunities to incorporate promotional apparel into things such as events and more. If you are supporting a local baseball team, you can get a baseball hat made to give away at the games. The same is true about designing shirts for specific events. Because you can utilize many more colors than you were able to in the past, you can create many more shirts that will stand out. The opportunities are endless and there is so much more you can gain from these new promotional apparel trends. If you are looking for a way to take your business and marketing to the next level, Promotion Pros is the perfect place to start planning your different options. Take a look around our promotional apparel online and see if there is anything that may meet your specific needs. Have a retail piece you love? Challenge us to find something that can match up. We would love the opportunity to help you design the perfect apparel promotional products. 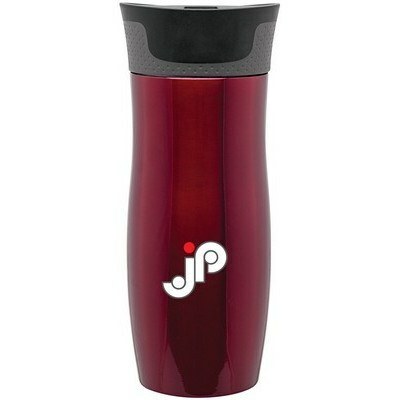 Promotion Pros offers a variety of customizable drinkware options. 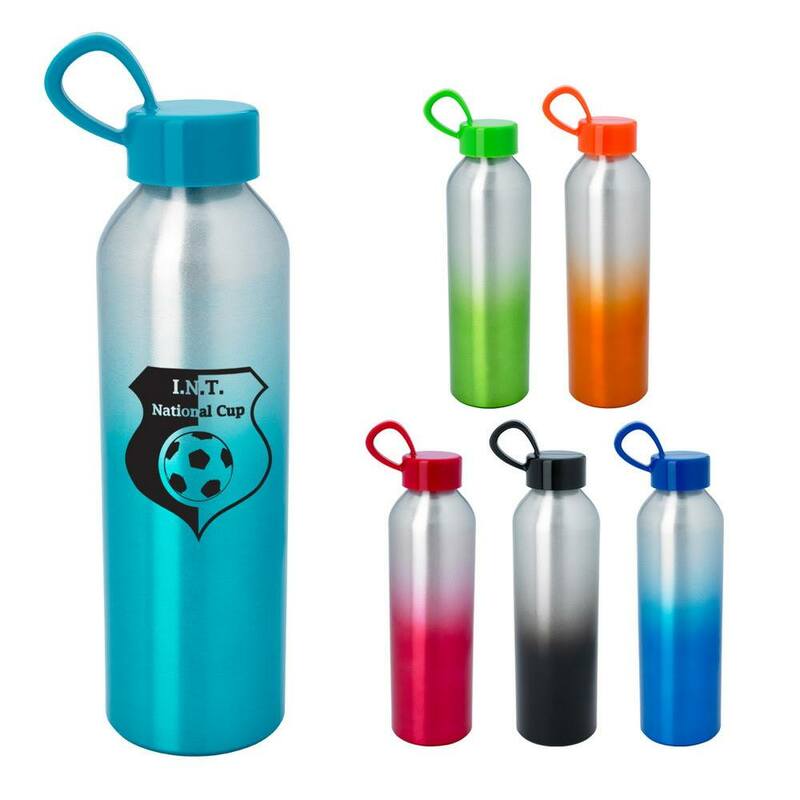 Right now, one of our hottest products are promotional stainless steel bottles. Want to know which one is right for you? Keep on scrollin'! This 21 oz. bottles not only catch your eye, but they are also BPA free! Plus they have a spill resistant lid. Keeps drink cold for 1 hour. 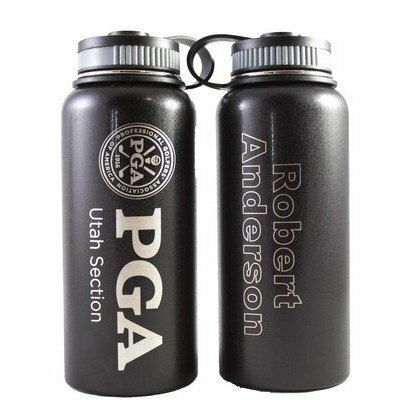 Looking to personalize your stainless steel bottles? 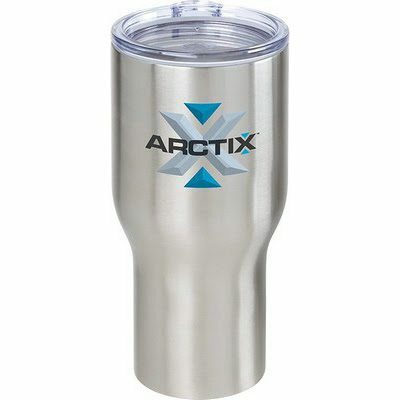 Print your logo on one side of this 24 oz. 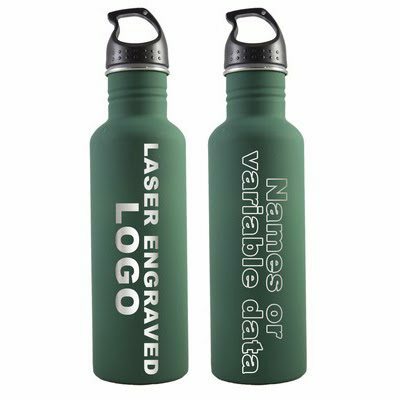 BPA free bottle, and personalize the other side at no extra cost to you! Keeps drink cold for 24 hours. If you're looking for the best Stainless Steel Bottle, you've found it. It has 18-8 vacuum sealed insulation, a leak-proof screw-on lid, and a open/close push button locking closure. Keeps drink cold for 48 hours. When ordering promotional products, it’s important to know what quality you want to get the best bang for your buck. Shop all of our custom drinkware to find more options of our good, better, and best! Given all of life’s stresses, it’s important to have a place where you can sit-back, relax and unwind from all that’s weighing down on you. Almost any room in your home can serve as a pleasant spot to de-stress, if you have essential oils and diffusers. These products transform the ambiance and mood of plain spaces into sanctuaries. 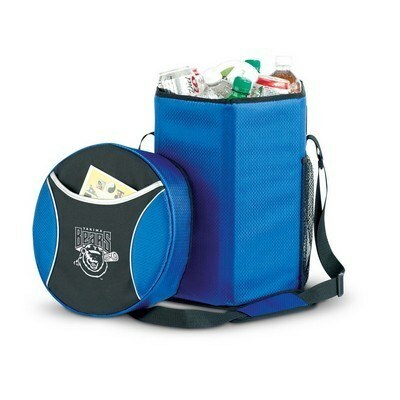 They also make for high-quality, branded promotional items at corporate giveaways. Essential oils not only have intriguing aromas, but they also have the power to help you overcome various ailments. For instance, clove oil eases respiratory problems, while lavender oil relaxes the body and lemon oil cleanses the body. Having muscle pain, no problem. Eucalyptus oil helps relieve the pain and peppermint oil reduces muscle ache. These oils can start you down the path to recovery from the troubles of your daily grind, making them great promotional products and custom giveaways. Another way to freshen up living spaces is through the use of reed diffusers, which come with 10 wooden diffusers for maximum effectiveness. 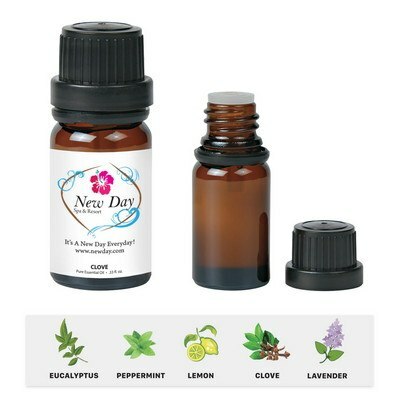 Available scents include clove, eucalyptus, lavender, lemon and peppermint. Each of these scents has the same healing properties as the essential oil aromas, allowing you to unwind in much the same way. 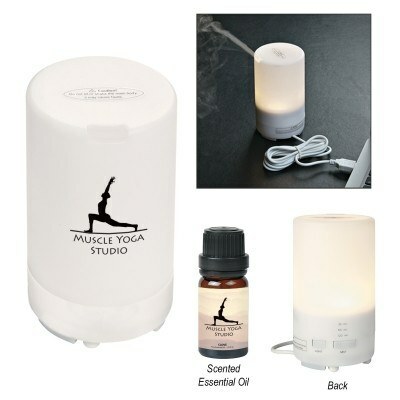 Reed diffusers are good for home and workout spaces, plus they make for unique promotional products. 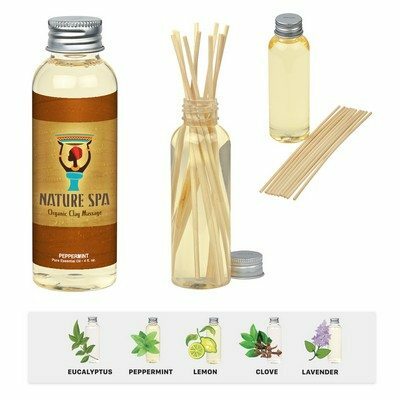 You can even give out a diffuser with your company logo to clients, which will create feelings of goodwill towards your business. Include your corporate logo and brand name to spread your brand awareness with the fragrance. If you’re looking for a sophisticated aroma device, then electronic aroma diffusers are just what you need. These diffusers use the same five scents as mentioned above, plus they come with two different light settings. The device works simply by mixing essential oils with water, which makes it easy to use at home or in the office. Include your corporate logo and brand name to spread your brand awareness with the fragrance. Don’t let stress keep you from enjoying your life, especially when there are simple, effective ways to calm your nerves. Relax and unwind with essential oils and diffusers, and watch stress fade away from your daily routine. For additional product information on promotional products, please contact us today. It’s about time to prepare for the holiday season and plan out your gift giving. The key to a wonderful gift isn’t whether it’s expensive or on the more affordable side – what matters is that you put a little thought into it. It’s important to make your clients and employees feel appreciated for their loyalty and hard work. If you’re in the health and lifestyle industry, perhaps custom fitness equipment is what your customers are hoping for. Those in the business sector might have their fingers crossed for some personalized desk accessories to organize their work lives. And any number of employees – including those in construction, automotive or hardware – would likely appreciate multi-tools and tool kits. No matter your industry, we have your holiday gift giving covered! We’ve come up with a great list of potential gifts for you to consider this holiday season. You can’t go wrong when gifting promotional bamboo products. 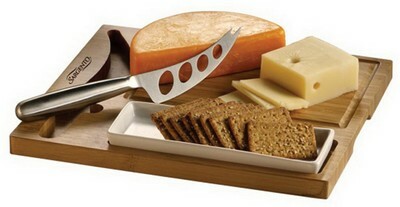 And one of our favorites is the Bamboo Cheese Server Set. Who doesn’t love setting out a cheese platter for holiday gatherings and company parties? This eco-friendly bamboo cutting board features a perfect-sized cracker dish and high-quality stainless steel cheese knife, the perfect combination gift to present to employees and clients. Many people enjoy a glass of wine, and our wine accessories will bring about smiles and appreciative clients. 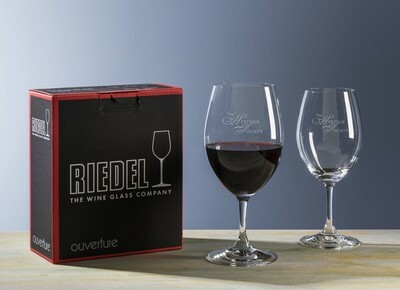 If you want to present a classy gift, look no further than the Riedel Overture Magnum Wine Set. This gorgeous wine gift set comes packaged in the ever popoular Riedel branded box. Made from fine quality machine-made non-lead crystal construction. 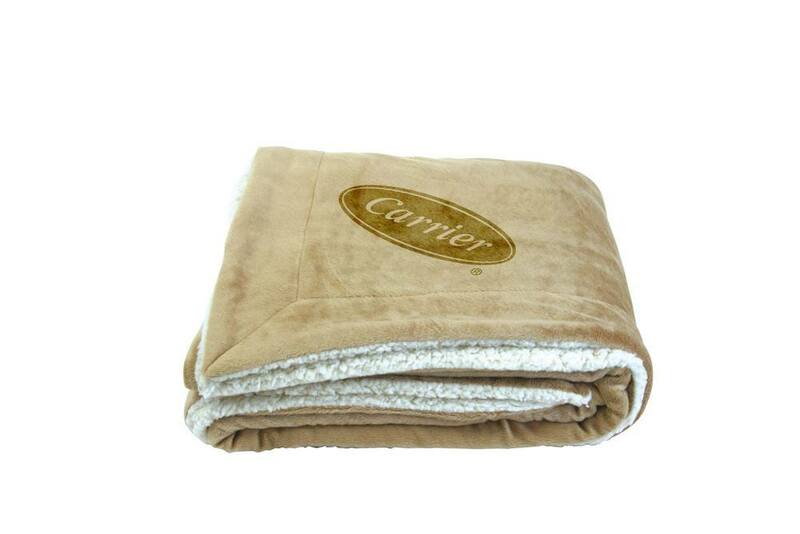 Gifting a high-quality blanket is always a winning idea, especially during the holiday season when temperatures are cool. Our Embroidered Oversize Sherpa Blanket is dual sided, so recipients can choose which side to cozy up with and wrap around themselves. One side is a comfortable faux lamb’s wool and the other is a luxurious faux micro-mink. 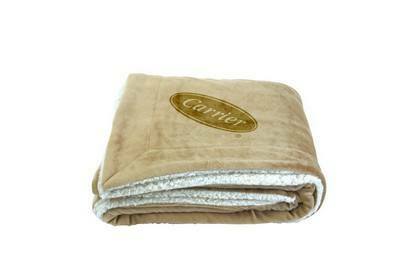 This embroidered blanket makes an ideal gift that is not only durable, it’s machine washable as well. Looking for elegance? You’ve found it with our Ambassador Water Set, which features a single logo imprint. The gorgeous shape of this glass water pitcher will make an impression on the recipient and it makes a wonderful Christmas gift. 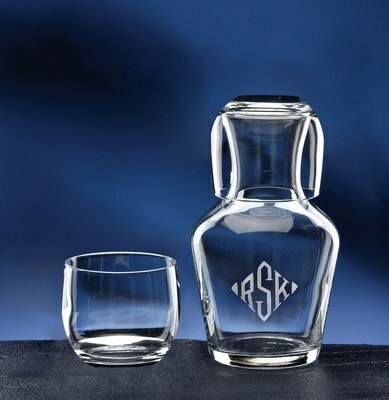 A stylish 7 ounce tumbler is included with the personalized glass pitcher, which can double as a weighted stopper. We have a huge selection of tech accessories for technophiles, including chargers, earbuds, and more. Some of our most popular gift items are the selection of Bluetooth speakers like our RoxBox Duet Bluetooth Speaker. This amazing little device has a built in sub-woofer and mic and features a USB cable and audio jack. 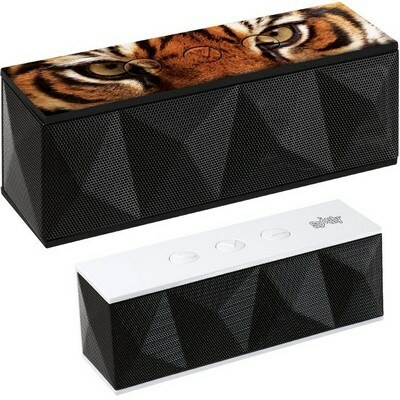 Not only does this small speaker play great tunes from your electronic device, it’s easy to use and makes a terrific gift for employees. While we’re talking tech, be sure to check out our Mobile Charger with LED Light & Retractable Earbuds Set. 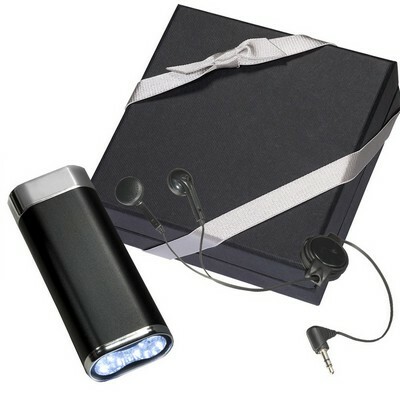 This cool gift set includes earphones and a charger with an ultra-bright flashlight. 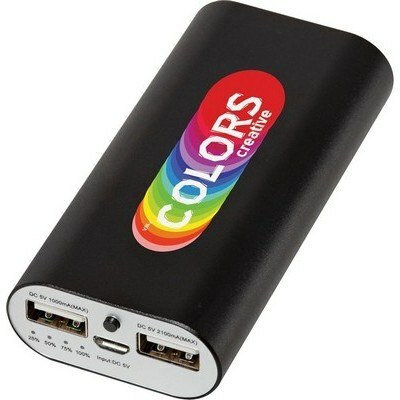 This mobile charger has an incredible lifespan of 500 charges, perfect for those who travel and are often on the road. With its safety light, this audio set is also great for those who run in the evenings after a long work day. For anyone who may not be a tech-savvy, we also offer more traditional gift set as well. For example, our Ecological Gift Set includes a journal and pocket planner for those who prefer to write out appointments and personal notes. Even better, this notebook is printed on 100% recycled paper and includes a bookmark, magnetic tab closure and pen loop for your recipient to add her favorite pen. 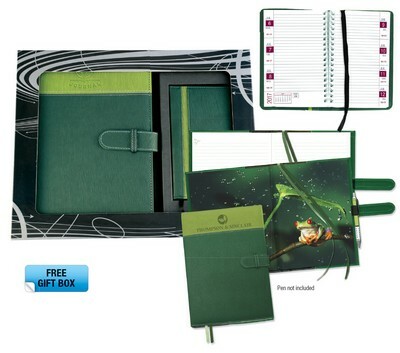 The spiral bound pages of the week-in-view planner ensure ease-of-use and quick flipping of pages. If you want your clients and employees to relax and not worry about electronic gadgets and appointment reminders, how about something beautiful for them to enjoy at home? 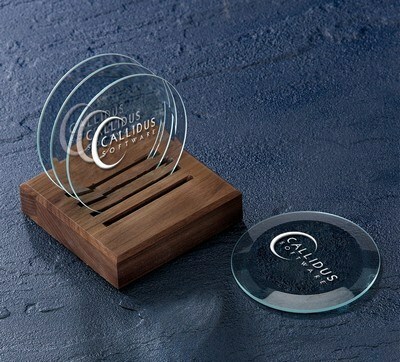 Enter our Beveled Optic Crystal Coasters. This elegant set features high-quality glass that will not stain no matter what drink the coasters hold. This set of 4 coasters is made from a combination of optic crystal and glass with a single logo imprint. Timeless meets current trends with our Fairview Leather Card Case and Stylus Pen Gift Set. 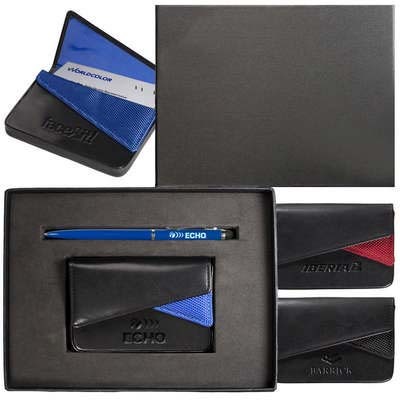 The leather card case holds business cards or credit cards and is made from cowhide leather with nylon trim. 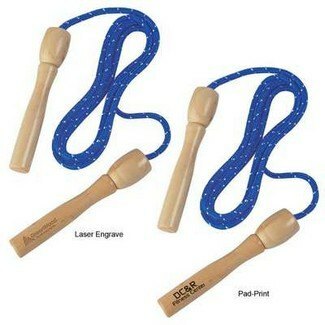 The twist action copper pen features a silicone rubber Stylus for touchscreen mobile devices including smart phones and iPads. 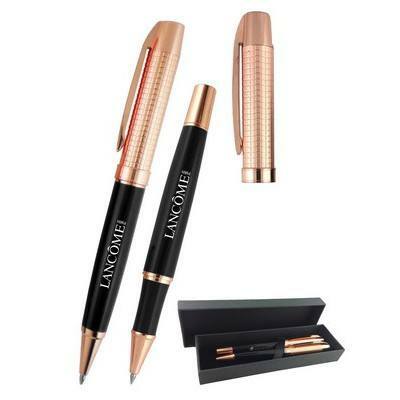 The pen and card case come in an elegant gift box, perfect for gifting to businesswomen and businessmen to whom you want to express some gratitude. The holiday season just isn’t the holiday season without passing out some delicious goodies. The festive 4 Piece White Chocolate Peppermint Oreo Cookies set is the perfect gift to give when you’re just not sure, because –let’s face it – who doesn’t love a Christmas treat? This peppermint gift box features a four color process logo attached to a red ribbon and is sure to become a company favorite. If you’d rather offer your recipients something they can enjoy immediately and not a gift that will clutter their home, this Curvy Hot Cocoa Set is the perfect choice. 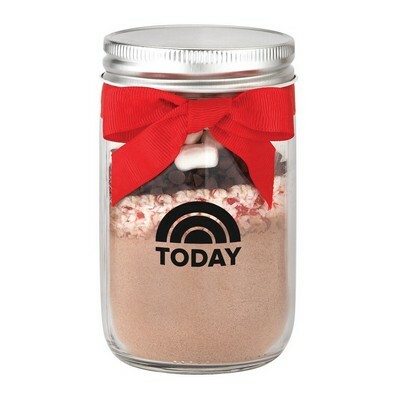 With two curvy style tumblers hot cocoa mix, this is the ideal Christmas gift for customers you want to thank. The included mini whisk helps mix up the powder in the tumblers, for the perfect holiday season drink. An inexpensive and adorable gift idea for employees is our 9” Wooden Ornament that will decorate their tree for years to come. 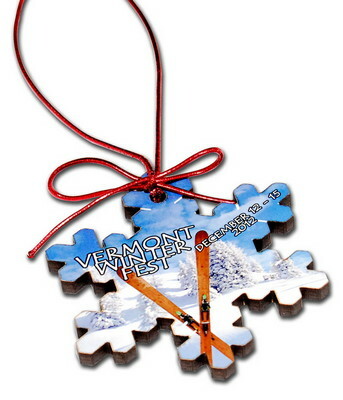 This Christmas tree ornament features a full color graphic and is made from a 1/4 inch sheet of wood. The ornament comes with a gold, red or silver cord that allows for easy hanging wherever the recipient chooses – whether on a tree or in a window. Shopping for the perfect gift that shows gratitude and represents your company at the same time doesn’t need to be complicated. Employees and clients will appreciate a personalized gift that shows thoughtfulness. Put a little thought and consideration into the perfect custom holiday gift and you’ll build lifetime relationships. Heading to trade shows offers your business a great way to bring in more leads, but you need to be well prepared for the show before you go. Trade shows and conventions mean long days, so you’ll need a few trade show tips to ensure you are ready for anything that may come your way during the day. Whether it’s your first time or you’re an experienced pro at trade shows, here are a few trade show essentials to have on hand, from name tags to unique promotional products. Creating an attractive, welcoming, area that stands out at the trade show is important, and an attractive table cover can ensure your booth looks great throughout the day. Personalize your table cover to show off your business name and logo so it’s easy for new leads to remember. Make everyone on your team approachable to attendees by making sure everyone wears name tags. This lets you make sure people can identify your name and company, ensuring easier interaction. You’ll also need some signs and banners for your trade show so you can make your booth look great while showing off important information. Use signs and banners for essential information about services, products, and methods of contact. Attractive signs will also help you stand out. Of course, it’s also essential to make sure that your team looks professional, and a uniform look makes it easy to identify the people who are a part of your company. Go with custom apparel that looks great with your booth and that brings together your brand image. You’re going to be shaking hands throughout the day, so hand sanitizer is a must. Make sure you have some available for all your team members. Trade shows can last for hours, and you need to make sure you stay hydrated and full. Choose some healthy snacks that will keep you going throughout the day and have plenty of water on hand for your team. 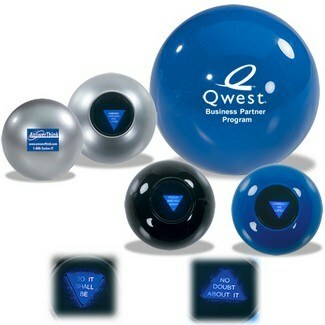 Don’t forget to have some fun giveaway promotional products, since great giveaways is an essential part of trade shows. Choose promotional giveaways that look great and that will ensure you’re remembered by prospective leads. Make sure you’re well prepared for your next conference or trade show with these helpful trade show hacks. 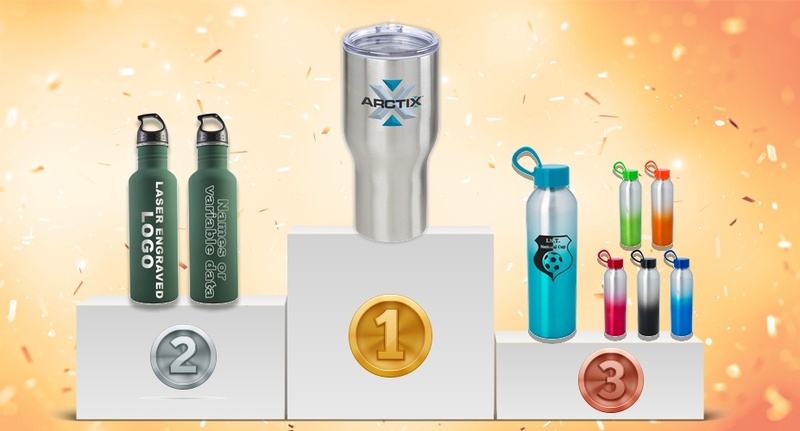 Prepare today by ordering your unique promotional products early so you’re ready to make the most of your trade show experience. A large part of advertising involves racking one’s brains to come up with materials that will promote a particular brand, business, or company. There are different kinds of advertising through digital and print media, and then there’s promotional merchandising to help any business owner create a positive impression on consumer and would-be customers. And since promotional products can deliver a better cost per impression compared to other types of media advertising, it’s no wonder that new and even established businesses spend a significant amount of time and money to come up with the perfect item that can boost their sales. But with many a typical promo items given away, how should you go about with your advertising plan? When we give away items, it’s obvious and nevertheless important to take into consideration our target recipients and the kind of environment they are working in the day in day out. If you’re marketing to business people and employees in corporations, it makes sense to give them something they can and will likely use in the office. 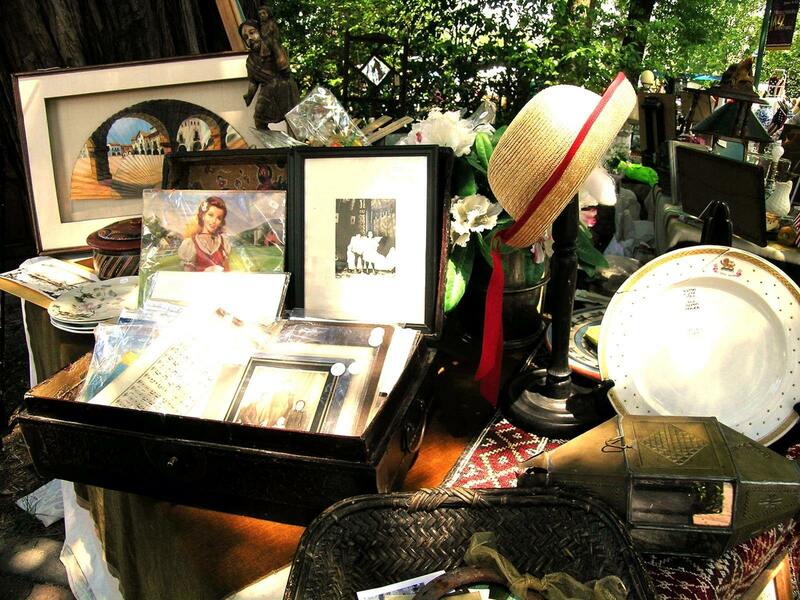 If your niche market is families, then merchandise they can use at home will work just fine. 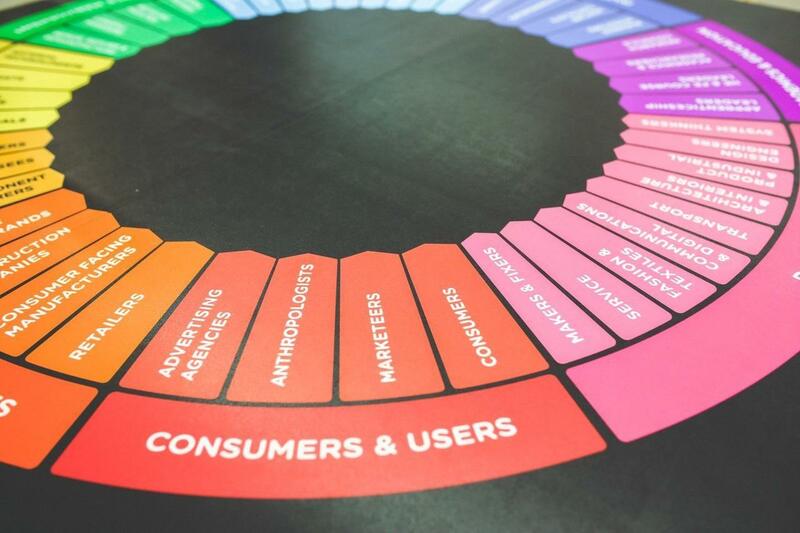 Matching your giveaways with the interests of a target audience is essential and almost imperative so your promo items will serve their purpose in the first place. Although it’s always great to make an impression with the item and message you’re delivering, promo items also work well when they last longer than the period it takes for people to throw away such objects. Things like plastic water bottles won’t last long enough for people to remember your product significantly. To make them last longer, the following element, which promotional items must have, can do just that. Some people would say investing on emotions will help you build a stronger connection with your customers. But how will everyday promotional objects stir your clients’ emotions? One surefire way to do this is to turn mundane items into keepsakes that people would rather hold onto instead of merely letting them pile up in the corner of their rooms. An awesome way to make memorabilia out of these objects is to make use of photography to capture moments that consumers can relate to at a personal level. A more personal approach will help people find a connection with your business. When promo items turn into memorabilia with pieces of moments printed on them that customers care about, then there’s a big chance they’d find your business more appealing, and they will become proactive when it comes to engaging with you. Integrating photography and promotional advertising has been a practice time and again by advertisers, business owners, and marketers. Most, if not all, print ads make use of images that best capture and convey the messages companies want consumers to know. So what makes the use of photography on promotional items any different from those previously done by advertisers? As mentioned earlier, it’s the memories that can make a huge difference. You are creating memoirs with your clients as you build strong relationships with them. Now to use pieces of memories on your promotional items is an easy way of sharing with other people what you have already built with your clients and employees too. If you already have a collection of photos from your previous events, you can opt to have them printed on basic giveaway items like fridge magnets, cards, mugs, tags, drink coasters, and whatnots. These photographs may serve as a testament to the kind of values you hold dear in your company. You can take and print as many pictures as you’d need to capture and frame memories people would want to keep. This photo sharing through the distribution of free merchandise takes promotion a step further than the usual name game of promo items. Instead of merely promoting your services and products, promotional articles that make use of photographs allow you to create memorable moments and build reliable connections between you and your clients. People appreciate the thoughtfulness of receiving promotional items; we see these as gifts no matter how ordinary they may be. Now, there is nothing stronger than having customers and clients relate well to your business when they receive items that help them build stronger affinity. With shared memories, your promotional items can go a long way. Earl Jonathan Tech is the founder of PrintMeister, one of the newest online companies offering printing services that include basic printing to personalised compliment slips. His work focuses mainly on marketing and merchandising, but he writes on his spare time. Breast Cancer Awareness Month, which is October, is an annual campaign designed to help raise awareness of breast cancer, encouraging women to take steps needed for early detection and offering support to women who are fighting the disease. Breast cancer, the most common type of cancer in women, affects more than 240,000 women each year, and over 40,000 women die every year from breast cancer. Supporting the fight and raising awareness is important, and with a few unique promotional products, you can support Breast Cancer Awareness Month and raise awareness of your business too. It’s a great idea to support a good cause, and doing so can help you increase brand recognition as well. Whether you hold a big event for Breast Cancer Awareness Month or you simply want to show your support by handing out promotional products to customers, everyone will benefit as you support the warriors in pink. If you’re planning to give promotional products away to current and prospective customers, consider going with items they’ll find useful. One great idea is the Ribbon Grocery Shopper, a reusable shopping bag that features a pink Ribbon handle. 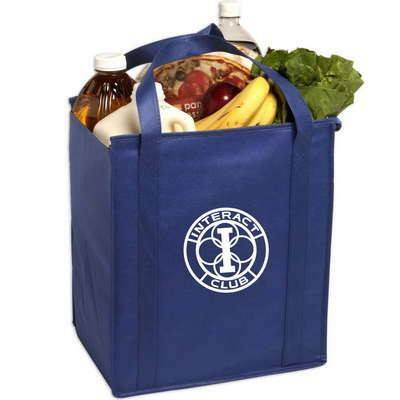 Add your company logo to the shopping bag and you’ll get your brand name out there. Another practical product is the Awareness Ribbon Water Bottle, which makes it easy for users to stay hydrated while supporting a great cause. Even pink pens with the breast cancer logo and your business information can make great promotional products that will be used again and again. If you’re looking for some fun products to raise awareness of breast cancer and your brand, consider the Pink Ribbon Stock Tattoo, which is a great way to bring some fun to an event while making sure people think about your business. You can also help clients and potential clients relieve some of their stress with the Awareness Ribbon Stress Reliever, or reach out to sports fans with the Small Hit Sports Pack that they can take to every game. Don’t forget about the amazing warriors in pink this year during Breast Cancer Awareness Month. Support these women and help raise awareness of this deadly disease. Choose the right unique promotional products today to increase breast cancer awareness while building your brand. With the return of football season, everyone’s excited about game day, and it’s the perfect time to introduce your own unique promotional products that tie in your brand to the excitement of the game. Feature the sport of football with your promotional products or feature local teams along with your brand to get your customers excited about your business. If you’re not sure what products to give away, here’s a look at some great football themed game day giveaways that football fans are sure to love. 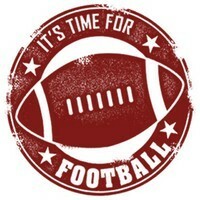 No football fan wants to miss an important game this football season, but it can be hard to keep track of game days, game times, and who teams are playing. Take the guesswork out of the football schedule by giving away football schedule magnets as promotional products. They’re sure to go up on fridges across your area, reminding customers about their favorite games and your business. For the football fans who head to the stadiums for game day, stadium cushions make a perfect promotional giveaway. Not only will these cushions keep them comfy while they cheer for their favorite teams, they are portable, lightweight, and they fold up for easy storage too. Add your logo to the cushions and you have game day giveaways that will ensure your brand is remember, by your customers and those who see the cushions at the big game. Everyone needs a cold drink or a tasty snack on game day, and rolling coolers offer the easy way to take cold drinks and food along without the need to carry a heavy cooler. Whether fans are heading to the stadium or heading to a friend’s house for a game day party, this is the perfect way to ensure that cold items can be easily carried along. Customize the coolers with your logo and business name and it’s the perfect way to promote your business and get your clients excited. Make it easy for football fans to keep their drinks cold this football season with the football can holder combo. It offers a great can holder shaped like a football, which any football fan will love. It also comes with a drawstring backpack, which offers the perfect way to tote along extra essentials when fans attend a big game. From football schedule magnets to rolling coolers, you have plenty of exciting options to choose from if you’re looking for game day giveaways. Make the most of football season and tie in your promotional products to the game to make an impression on current and prospective customers.